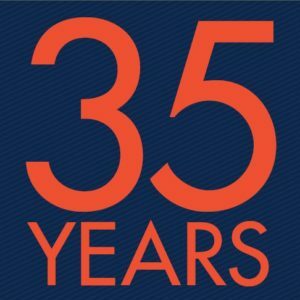 (October 2014 – Wilmington, MA) – Specialized shipping company Exhibit Express, Inc. celebrates thirty-five years this October. Exhibit Express, was established in 1979 in an effort to manage tradeshow shipping for exhibit managers in the Boston area. The organization worked with many trucking companies and independent drivers located in the region; eventually becoming an official booker for Allied Van Lines Special Products division. Since then, Exhibit Express expanded its regional business to a national level; and added an in-house freight forwarding department. With the two shipping options (van line and air freight), Exhibit Express was allowed to service both large and small shipments nationwide. In addition to booking via the van line system and working with many smaller trucking companies, Exhibit Express established its own small fleet of trucks and vans – allowing opportunities to find even more efficient and valuable ways to move freight across the country. Starting out as a tradeshow specific shipper, Exhibit Express extended its core business by offering its special care moving services to handle sensitive equipment, high-tech products, laboratory equipment/relocation and museum exhibits; and providing temporary warehouse storage. Today, Exhibit Express continues to offer ground shipping services via its nationwide network of agents, local self-haul and specialized van line moving via STI Transportation. Exhibit Express is proud to be one of America’s family owned and operated small businesses – managing specialized shipping services for over 200 companies nationwide. Congratulations and keep up the excellent work. Your company provides Agilent with the best service possible.